The Thursday edition of MRM’s Daily Bite features Edamam, Taco Bell and Comcast, ChefsGiving, the 100th Restaurant Roundtable at the Sardine Factory and John Smith Subs. Edamam released a white paper on the habits and attitudes of millennials toward food and what these mean for running a restaurant business in today’s world. 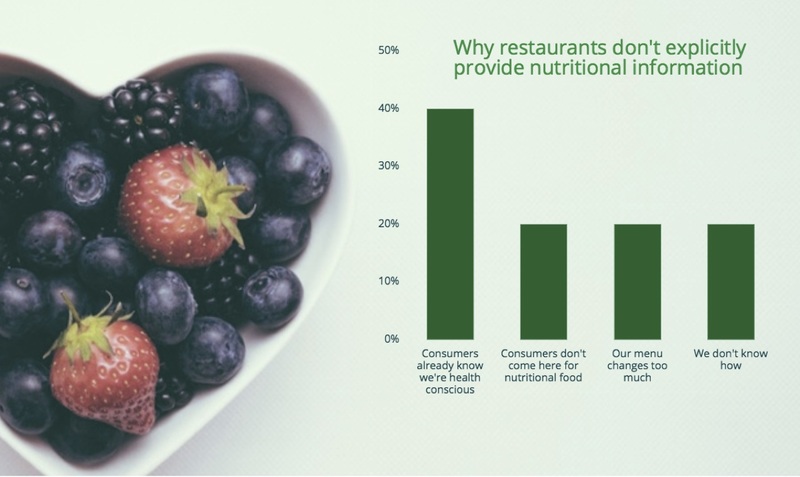 A key finding of the paper is that nutrition data, as well focus on sustainability and social engagement, are important differentiators that drive the millennial customers to restaurants. With ever expanding wallets and strongly held views on food, this generation is likely to have the greatest impact on restaurants in at least 50 years. The white paper was based on independent research done by Edamam, researcher from New York University College of Global Public Health and SPE Certified, a company certifying restaurant sustainability efforts. In addition to doing a broad study of millennial attitudes toward food and eating, the team interviewed a number of New York City based restaurants to evaluate their awareness, preparedness and ability to cope with the new rising tide of young diners. “We found that while restaurants are generally aware of changing attitudes and their potential impact, they have by and large done little to change and adjust course to take advantage of the millennial diner,” commented Victor Penev, Edamam’s CEO and Founder. As transparency becomes a must and a growing awareness about the impact of food on health and well-being is starting to drive decisions when buying groceries or ordering a meal, fully available and clearly presented nutrition data is something every restaurant must consider as part of running day-to-day business. “Restaurants believe that for the time being price and taste still drive decisions. While this is true, establishments with focus on transparent data are likely to draw in clientele disproportionately.” added Victor Penev. Edamam provides a tool for restaurants to analyze the nutrition of of meals they serve and add nutrient, allergen and diet relevant data to their menus. Taco Bell has selected Comcast Business Enterprise Solutions to provide managed services, including guest Wi-Fi, at more than 6,200 Taco Bell company and franchise locations across the U.S.
Taco Bell, which has launched several innovative technology solutions in recent years to improve the overall dining experience for its customers, including allowing people to place orders and pay both online and via the Taco Bell mobile app, digital menu boards and free Wi-Fi, has retained Comcast Business to support the technology requirements needed to maintain business operations nationwide, including a high-performance, redundant, highly-available network infrastructure. A new in-store Managed Wi-Fi network and Managed Router solution for each restaurant capable of 20 Mbps downloads and 3 Mbps uploads minimum. 4G business continuity at each location. Redundant connections at each location – and to the network and corporate data centers – that creates an always-on infrastructure. A distributed IPsec VPN network, providing the ability to collect and exchange massive amounts of data at very high speeds across Taco Bell locations. 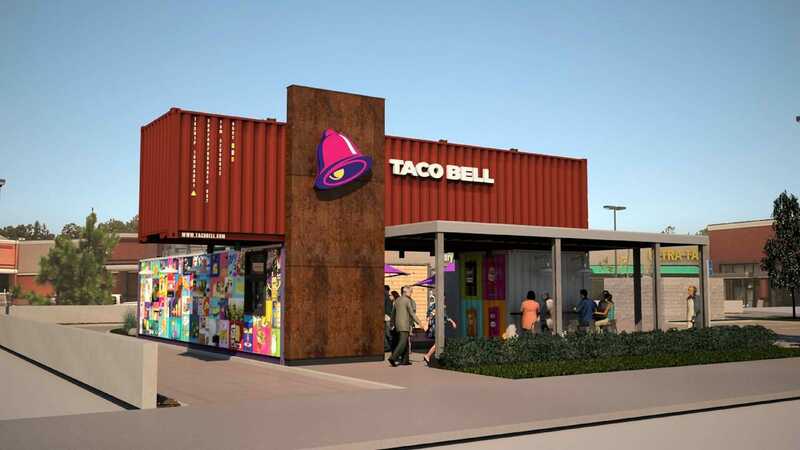 From an operations standpoint, Comcast will support Taco Bell’s need to share corporate sales figures and trend statistics swiftly and securely and distribute electronic marketing and training materials to franchisees. Fast food restaurants typically experience employee turnover rates greater than 100 percent, which makes on-demand access to training videos and interactive sessions for new employees critical. In the fast food industry, network downtime at any location or on a mobile app can lead directly to lost sales. Taco Bell selected Comcast Business Enterprise Solutions for its ability to support distributed enterprises with high-capacity and more importantly, highly-reliable communication and Managed Services. 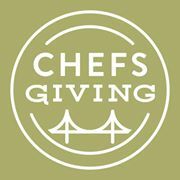 ChefsGiving Week—a restaurant-driven fundraiser for Northern California fire relief—culminates in a Gala at San Francisco’s iconic Ferry Building on Sunday, Nov.19 from 4pm to 7pm. Tickets are on sale now and 100 percent of the proceeds will benefit the Tipping Point Emergency Relief Fund and Restaurants Care. The Chefs Giving Gala is the Bay Area’s big-hearted food and wine community coming together for a cause close to home. Chaired by Debbie Zachareas of Ferry Plaza Wine Merchant, and hosted by Liam Mayclem (KCBS Radio’s “Foodie Chap”) and Leslie Sbrocco (KQED’s “Check, Please! Bay Area”), the Gala is a fundraiser and celebration to officially bring a close to a week of giving by more than 85 Bay Area restaurants. Guests will enjoy wine from more than 50 wineries across California and the globe, with a total of more than 250 wines to taste, and food by the Ferry Building’s renowned restaurants and eateries. Cocktails and bites will be served outside in the CUESA kitchen, Hog Island will provide oysters, and guests can enjoy a cheese and foie gras cave featuring cheese from Cowgirl Creamery and members of the California Artisan Cheese Guild. An inaugural Chef Humanitarian of the Year Award presented by Williams-Sonoma will also be given to a local chef. “I am truly honored to witness our community coming together. We expect almost every vendor in the Ferry Building to contribute to this Gala, give back to those impacted by the fires, and pay homage to the chefs who donated to ChefsGiving for an entire week. I was bowled over by the outpouring of support from wineries and my colleagues and peers in the Ferry Building who are generously providing all of the food and wine for the Gala. After a week of giving, it’s our turn to toast and host guests,” said Zachareas. In an effort to raise more for the two ChefsGiving charity partners, Mayclem and Sbrocco will host a live auction to include one-of-a-kind lots, such as: an “Instant Wine Cellar” with 100 bottles of wine from top wineries including Chateau Montelena , Littorai Wines , Pride Mountain Vineyards , Silver Oak , Shafer , Peay Vineyards , Hirsch Vineyards , and Duckhorn Vineyards ; “Dinner for a Year,” with 52, $100 gift certificates from local restaurants; and a two-night getaway to Las Vegas hosted by Chef Hubert Keller. $195 VIP Tickets: Arrive an hour before general admission to mingle with ChefsGiving Week restaurant chefs, enjoy exclusive Champagne tastings from Ruinart , Veuve Clicquot , Krug , and Dom Perignon , and caviar from The Caviar Company. “The Chefs Giving Gala is the Bay Area’s big-hearted food and wine community coming together for a cause close to home,” said ChefsGiving Founder, Liam Mayclem. “It’s an event that will honor our neighbors affected by the fires and also allow us to give thanks to the many chefs who fed those in need. It’s our way of saying we care and that aid will continue to be on the way”. ChefsGiving Week (November 13-19) is a fundraising effort to support those devastated by wildfires in Northern California. During the week, restaurants of all price points will hold a variety of events to support Tipping Point Emergency Relief Fund and Restaurants Care. The Bay Area’s most recognized chefs and restaurants will join, including Atelier Crenn, Manresa, Mourad, The Slanted Door, Robin, Outerlands, The Riddler, La Folie, Foreign Cinema, Donato Enoteca, The Restaurant at CIA Copia, La Costanera, Shakewell, La Marcha, Dumpling Time, Navio at The Ritz-Carlton, Half Moon Bay, and fast-casual spots like 4505 Burgers & BBQ, Souvla, and Media Noche. Pop-ups powered by Feastly before and during ChefsGiving Week will also be available for chefs without a permanent restaurant space. The Tipping Point Emergency Relief Fund directly supports low-income communities affected by the devastating fires in the North Bay. Restaurants Care, an emergency assistance fund for restaurant workers formed by the California Restaurant Association Foundation, has dedicated specific funds to support restaurant workers who are affected by the fires. For more information about ChefsGiving, visit chefsgiving.org and follow along on social media for the latest news: @ChefsGiving on Instagram, Twitter, and Facebook. Restaurants interested in participating are encouraged to visit chefsgiving.org and contact Maddie Emodi, maddie@magnumpr.co. 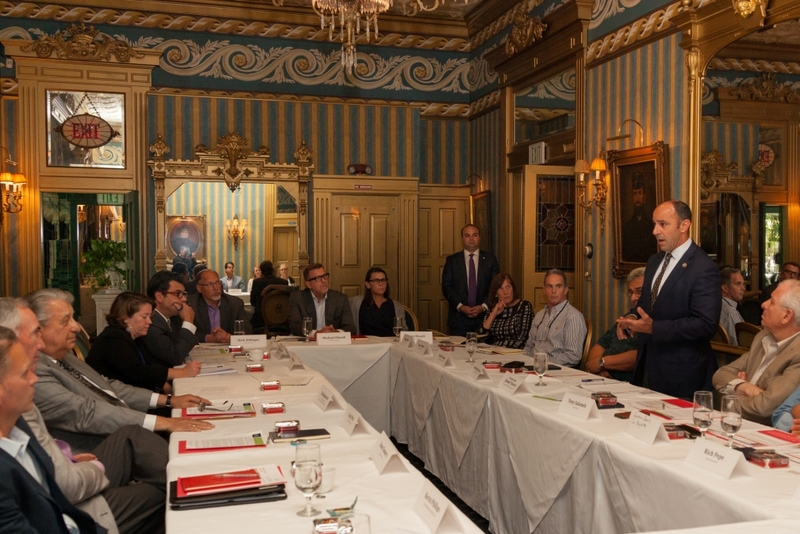 The California Restaurant Association, the National Restaurant Association and Ted J. Balestreri, Chairman and CEO of the Cannery Row Company and co-owner of the Sardine Factory, hosted the 100th Restaurant Roundtable of 2017 at the Sardine Factory in Monterey, California. Congressman Jimmy Panetta was the featured guest at the event. Panetta, son of former Secretary of State Leon Panetta and Sylvia Panetta, represents the 20th congressional district which includes all of Monterey and San Benito Counties, and parts of Santa Clara and Santa Cruz Counties. He said he was pleased to be able to meet with the restaurant owners and discuss the industry he worked in as a youth. Topics covered included health care and immigration reform, along with some discussion about tax reform. National Restaurant Association started the Restaurant Roundtables program in 2015 to ring restaurateurs and lawmakers together and provide the opportunity for elected officials from both parties to hear directly from restaurant owners about the challenges they face and to discuss how regulations and legislation could help or hurt business. Along with State Restaurant Association partners they hosted 15 roundtables in the first year, 70 in 2016 and 100 in 2017. In 2017, 700 people representing 33 states have participated, including 10 senators and 90 representatives. Lawmakers attending the events this year include U.S. Senators Lamar Alexander (R-Tenn.), Deb Fischer (R-Neb. ), Lisa Murkowski (R-Alaska), John Boozman (R-Ark. ), and Rand Paul (R-Ky.). U.S. House of Representatives include Congressmen Pete Aguilar (D-Calif.), Ron Kind (D-Wis.), Mike Bost (R-Ill.), Martha Roby (R-Ala.), Fred Upton (R-Mich.) and Bradley Byrne R-Ala.). Jon Smith Subs® announced its first stride in international expansion with its first overseas location slated to open in Kingston, an area of Southwest London, England, in early 2018. United Franchise Group (UFG) has partnered with Jon Smith Subs to fast track its global expansion. The master license partner for the United Kingdom territory is Hasna Sheikh Ali, who has a background in commercial and residential real estate and currently owns and operates Pepe’s, a chicken franchise restaurant in Bournemouth. In addition to the Kingston location, Ali plans to open two additional Jon Smith Subs locations; one in Bournemouth, and a third location near the Kensington High Street area of Central London in the coming months. 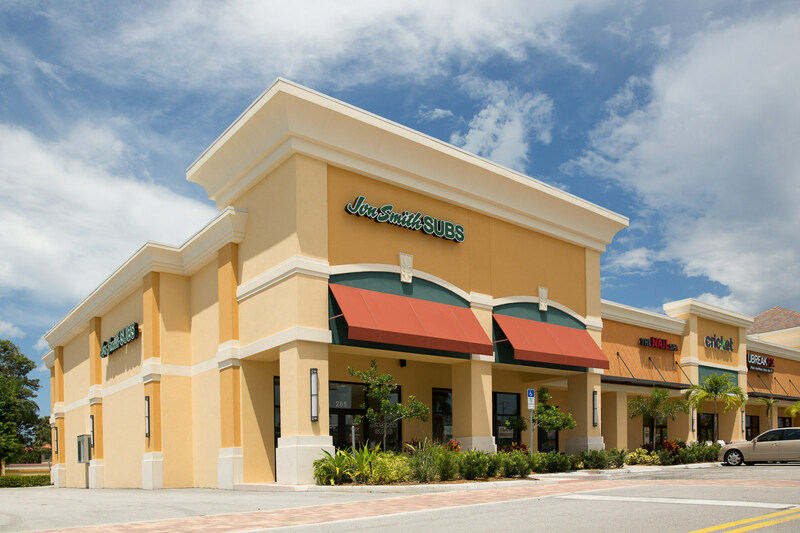 The new location in England is part of a larger international expansion plan for the Jon Smith Subs brand, which until now has been wholly based in Florida. Plans call for the brand to open 40-45 locations over the next eight years throughout the UK. Other near-term international targets include Canada, France, Ireland, Germany, Singapore and the UAE.